A controversial 10-million-gallon manure lagoon that state officials had recently ruled to be in violation of state regulations is being constructed in Cayuga County. Manure is high in phosphorous and nitrogen, nutrients that are suspected fuels for HABs (Harmful Algal Blooms). 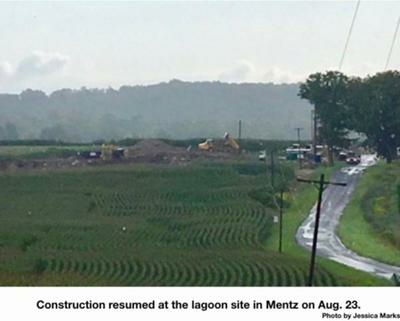 Seneca Lake Guardian is working with the community of Mentz to fight the proposed manure lagoon, and forming a plan to test runoff from other factory farms.